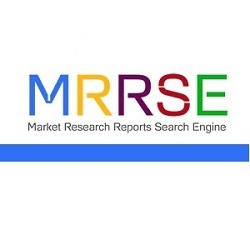 Albany, USA, 2019-Jan-18 — /EPR Network/ —This report on the multi-parameter patient monitoring equipment market studies the current and future prospects of the global market. Multi-parameter patient monitoring enables monitoring of patient’s health and assists medical practitioners in deciding the treatment regimen as well as track the disease progression during treatment. Multi-parameter patient monitoring is effective in the management of post-acute care and chronic disease. Geriatric population is observed to be at a high risk of chronic diseases such as diabetes, hypertension, cardiovascular diseases and respiratory diseases. Thus, rising geriatric population propels the prevalence of chronic diseases leading to accentuate the growth of multi-parameter patient monitoring equipment market globally. The multi-parameter patient monitoring equipment market report comprises an elaborate executive summary, which includes a market snapshot that provides information about various segments and sub-segments of the market. It also provides information and data analysis of the global multi-parameter patient monitoring equipment market with respect to market segments based on the type of acuity levels, end-users and their geographic analysis. Based on acuity levels, the multi-parameter patient monitoring equipment market has been segmented into three major categories: high-acuity, mid-acuity, and low-acuity monitors. Based on end-users, the market has been categorized into two segments: hospital and home health care. The market segments have been extensively analyzed based on usefulness, efficacy, revenue, and geographical coverage. The market size and forecast in terms of USD million for each segment has been provided for the period from 2013 to 2023. The report also provides the compound annual growth rate (CAGR %) for each market segment for the forecast period from 2015 to 2023, considering 2014 as the base year. Geographically, the global multi-parameter patient monitoring equipment market has been categorized into six major regions: North America, Europe, Asia Pacific, Latin America, and Middle East and Africa (MEA). The market size and forecast for each of these regions has been provided for the period from 2013 to 2023, along with their respective CAGRs for the forecast period from 2015 to 2023, considering 2014 as the base year. The research study also covers the competitive scenario in these regions. A detailed qualitative analysis of factors responsible for driving and restraining the growth of the market and future opportunities has been provided in the market overview section. This section of the report also provides market attractiveness analysis, value chain analysis, Porter’s Five Forces analysis, and market share analysis by key players, thus presenting a thorough analysis of the overall competitive scenario in the global multi-parameter patient monitoring equipment market. A list of recommendations has been provided for new entrants as well as existing market players to assist them in taking strategic initiatives to establish a strong presence in the market. The report also profiles major players in the multi-parameter patient monitoring equipment market based on various attributes such as company overview, financial overview, product portfolio, business strategies, and recent developments. Major players profiled in this report include Philips Healthcare, GE Healthcare, Drägerwerk AG & Co. KGaA, Nihon Kohden Corporation, Spacelabs Healthcare, CAS Medical Systems, Inc., CONTEC MEDICAL SYSTEMS CO., LTD., Guangdong Biolight Meditech Co., Ltd., Mindray Medical International Limited, and Schiller AG.